Essential Oils have an excess of amazing uses for everything from pampering yourself to cleaning and helping with various ailments. What are Essential Oils? An Essential Oil is an aromatic liquid extracted from leaves, twigs, berries, bark, wood, root, flowers, citrus peels, or other plant matter. They are not actually oily, but have more of a water-like feel. 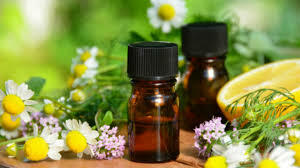 Though Essential Oils are natural, they are very concentrated and should be used with caution. Except for Lavender, tea tree, German chamomile, rose, sandalwood and geranium, most Essential Oils should not be used undiluted or neat directly on the skin. Always dilute essential oils with a carrier oil like sweet almond, jojoba, sesame, grapeseed etc unless you know it is safe to use undiluted. To test if you are sensitive to particular oil, combine 1 or 2 drops to a teaspoon of carrier oil in a small container. Dab a small amount to your wrist or the crook of your arm and wait for 24 hours. Use extra caution if you have a serious health condition or are pregnant. Educate yourself about the properties and contraindication of essential oil before using it. Now that we have that out of the way, on to the uses! Laundry: Mix 3-5 drops of your favorite essential oil with an unscented laundry detergent before each load. Air Freshener: Combine 1 teaspoon of essential oil to 1 cup of water in a spray bottle. Spray as needed. Before using on fabrics, do a spot check to make sure it doesn’t stain. For Bath: Add 5-8 drops of peppermint or rosemary oil to a large, hot foot bath to relieve pain and stimulate circulation. 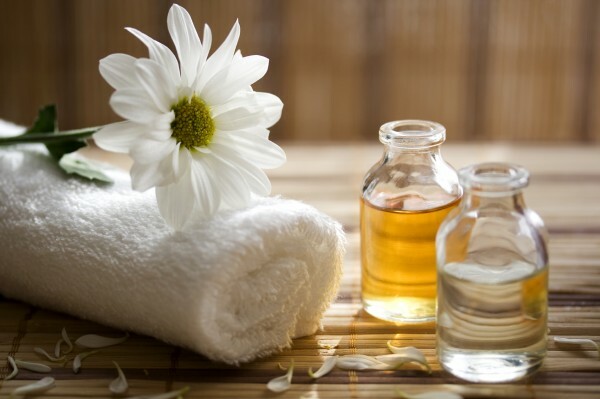 Massage: Use light carrier oil like vegetable, sunflower, or walnut as a base for massage oil. Add a few drops of peppermint for sore muscles, ginger for your lower back and joints, or avocado oil for a luxurious foot bath. Hair Loss: Add a few drops of rosemary essential oil to dollop of shampoo or conditioner to increase circulation to the scalp. Headaches: Mix a small amount of peppermint oil to carrier oil, apply to fingertips and massage temples. If peppermint is too strong, add lavender for extra calming properties. Burns: Apply lavender essential oil to burns to relieve pain and stop the burn from progressing. Do a spot check first to make sure you don’t have sensitivity. To soothe sunburns, add a few drops of lavender oil to a cool bath.